General Info Supports Intel Core X-series CPUs on socket FCLGA2066. Up to 8.0 GT/s system bus. Also supported high speed 2666MHz DDR4 Ram. Arranged as high performance Quad channel. Ram overclock up to 4000MHz. 8x 6Gb/s SATA Ports with Raid 0,1,5,10. 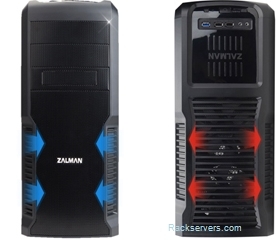 1x Gigabit LAN port, Supports Nvidia Quad-GPU SLI & AMD Quad-GPU CrossfireX technology. 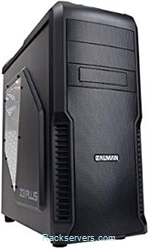 Description Zalman Z3 Plus Super Mid Tower. 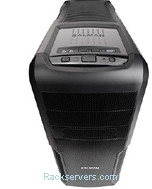 Advanced PC ATX chassis, providing 2x 5.25" External bays, 1x 3.5" Card reader bay and 4x Internal 3.5" HD bays. Advanced System Cooling - system provided with 1x 120mm Front, 1x 120mm Top, 1x 120mm Rear, with optional fan upgrade to 2x 120mm Front, 2x 120mm Top & 1x 120mm Rear (see options in the 'System Option' pull down). High efficiency PSU options from 500W to 1300W.